Forest biomass is largely a domestic, decentralised energy source and we already have comprehensive legislation and management systems in place to safeguard the sustainability of forest management. Bioenergy does not drive harvests of European forests. Biomass for bioenergy is a side product of higher-value timber and demand for bioenergy does not put our forests at risk. EU policy makers should carefully consider how added value could be achieved with new criteria for solid biomass production. “The proposed new sustainability provisions for forest biomass follow a risk-based approach that should be assessed by looking at legislation on national or sub-national level. This provides the possibility to look at the already-existing national regulations for forest management. It is the most appropriate level for assessment, as going down to the forest holding level causes unacceptable burdens for the forest owner. This proposal now needs to be carefully analysed, especially in terms of the on‑the‑ground impacts on forest owners”, says Emma Berglund, Secretary General of the Confederation of European Forest Owners (CEPF). Piotr Borkowski, Executive Director of the European State Forest Association (EUSTAFOR) emphasises that: “The biggest challenge we are facing is climate change and we all know that we urgently need to stop introducing new fossil carbon into the current carbon cycle. The most cost-effective policy options to reduce carbon emissions can be achieved through the development of forests and their sustainable use. European forests are a source of natural, sustainable and renewable raw material with a great potential to store carbon in forest products and replace fossil fuels and highly energy-intensive materials”. The European Commission has published proposals on how the EU is going to increase the share of renewables to 27% by 2030 and decrease dependency on fossil fuels. As a part of the so-called Clean Energy package, the European Commission presented a proposal for a directive on the promotion of the use of energy from renewable resources, including minimum criteria to demonstrate the sustainable production and efficient use of biomass in transport, heat and power. Two extremely important regulatory proposals, LULUCF and REDII, will now be considered by the European Parliament and Council. 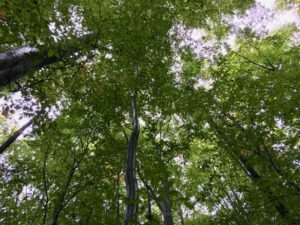 The EU policy and decision makers must look at the role of sustainably managed forests in the big picture and create frameworks that support the transition to a low-carbon bioeconomy. It is crucial to avoid creating any additional layer of bureaucracy via EU climate and energy policies, as it is evident that the use of domestically grown renewables is a much better option than the use of fossil-based resources.